There are several different methods to transfer text or ink to wood. I have used the wax paper transfer method which works well if you have a large amount of text. But since you print on wax paper, and then bring water into the equation, you run the risk of smudges and smears. 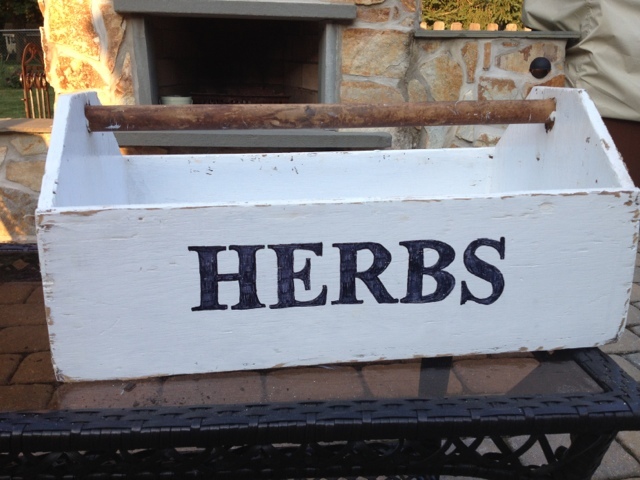 For a recent project, I only had one word I needed transferred to wood. 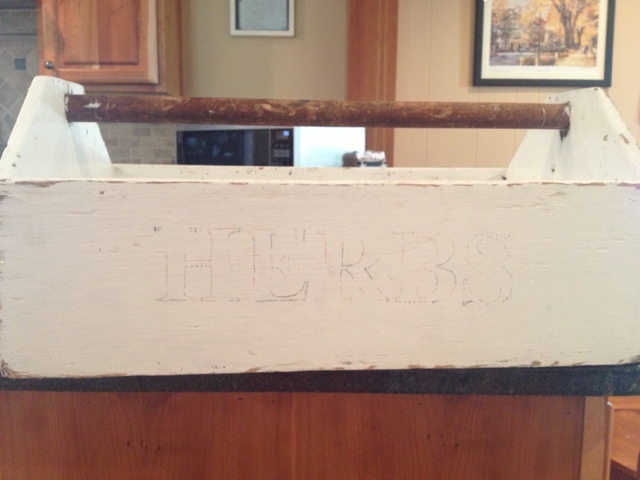 I wanted to write "HERBS" on the side of my DIY new herb garden box. I never trust my freestyle handwriting for this kind of job and without a stencil I was wracking my brain as to how I was going to do this. That's when I remembered a recent technique I had pinned that involved using newsprint. 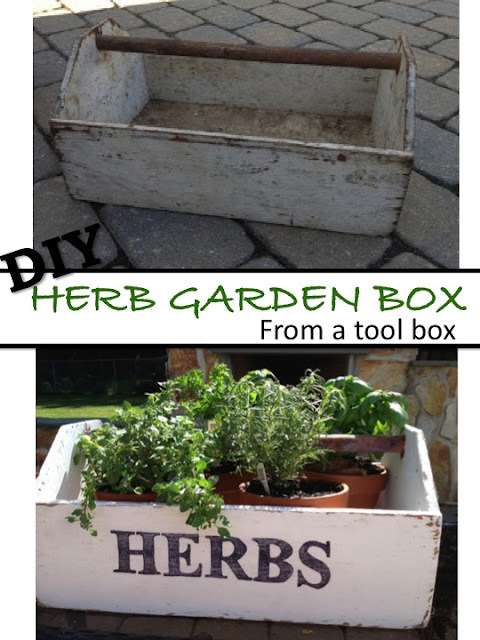 It's really a very easy method to transfer text to wood if you don't have a lot of text or if you have some kind of intricate design. On your computer, use a word processing or graphics program - or if you're among the PowerPoint faithful, like me, use that - to creating your wording. Adjust the font style and size to your liking ensuring that it fit on your piece of wood. It doesn't matter what color you print because this inkjet print is not actually going to transfer onto the wood. After you have your texted print, cover the entire surface of the wood with a piece of newspaper. 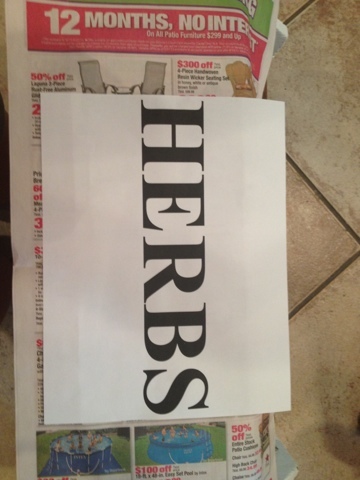 Try to use an area that has a lot of tiny print such as the classifieds. I used this colored ad and it worked out fine. On top of the newsprint, position the paper that has your text on it, to your liking. 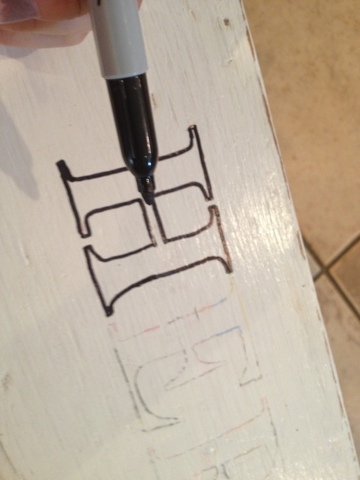 Using a sharp pen, trace just the outline of your text, pressing down firmly. 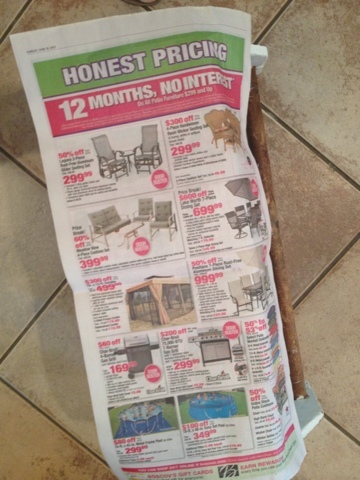 Be careful not to move the printed sheet or the newspaper. 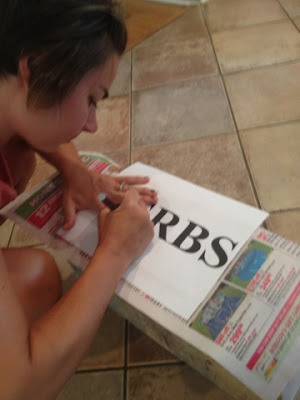 Now, take a sharpie marker or some paint (if you have a steady hand) and trace over the text. I actually used a regular black sharpie marker to color in my lettering. 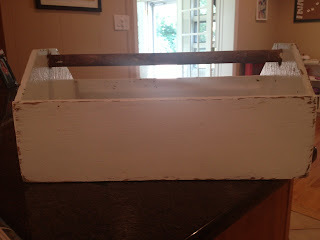 After I filled all the letters in, I lightly distressed them with sand paper. Since my herb garden box is going to be outside, I seal the entire thing with a waterproof sealer. 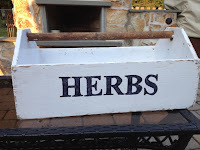 But if you are keeping your wood sign inside, you can choose another type of sealer - like acrylic - to protect your work.